For our church's Easter Egg Hunt, I created a pretty craft that kids could do that celebrated and represented our Moravian heritage. 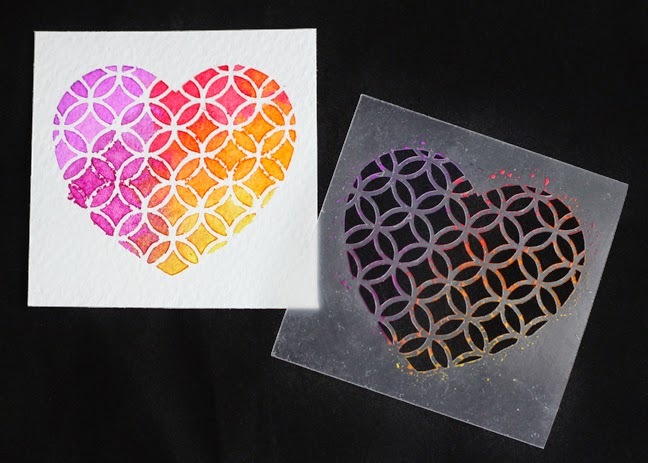 I was inspired by this blog post by Silhouette America, where they used a special stencil material to create watercolor valentines. 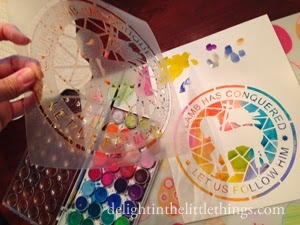 If you don't have a Silhouette Cameo and love to craft, I highly recommend this machine! It takes a bit of time to get the hang of it, but you can produce really cool designs to enhance your art and home. It definitely inspires my creativity. 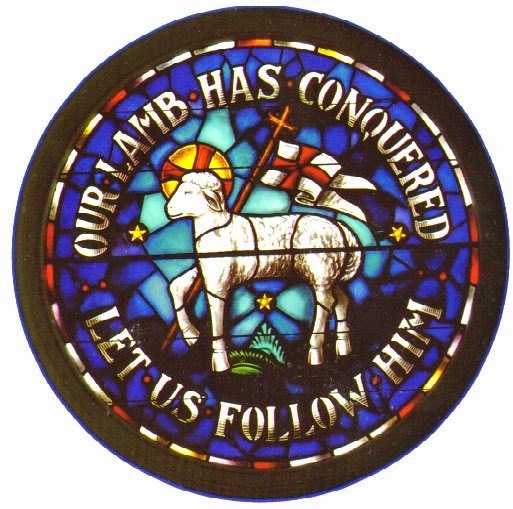 I knew that I wanted to use our Moravian Seal which is depicted in a beautiful stained glass window in our sanctuary at New Philadelphia Moravian Church. The blog post over on Silhouette America explains the specific steps for cutting the stencil material out using a Silhouette Cameo and their Stencil Material. What I like about the Silhouette Stencil Material is that it has an adhesive back and is reusable. Perfect for trying with the kids at a craft station. Once I had designed the stencil in the Silhouette Studio software, I cut it out and weeded out all the pieces that I didn't need. 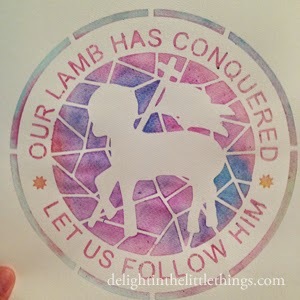 At home, I created samples using an inexpensive watercolor brick palette and watercolor paper that I picked up at Michael's. I love how you can vary the results using different techniques and colors. On one sample, I used a paper towel to blot the wet paint, and was able to create a more muted and pastel look. This last version is my favorite! I love how the color seemed to mix together to give almost a batik look to it. At our Easter Egg Hunt, we tried to make things easy by using pre-mixed liquid watercolors for the children. This is definitely an easy thing to set-up, however I think you achieve better results using the watercolor brick palette. 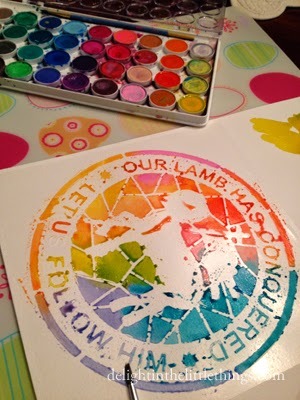 The wetter the paint, the more bled into other spots, which reduced the definition of the stencil design. Interested in more Moravian art? Visit our Etsy store. Want to know more about Moravians? Find out by visiting www.Moravian.org and reading this. WOW - I absolutely adore this! I live near Lititz with a beautiful Moravian church! I'm pinning and pinning it some more! 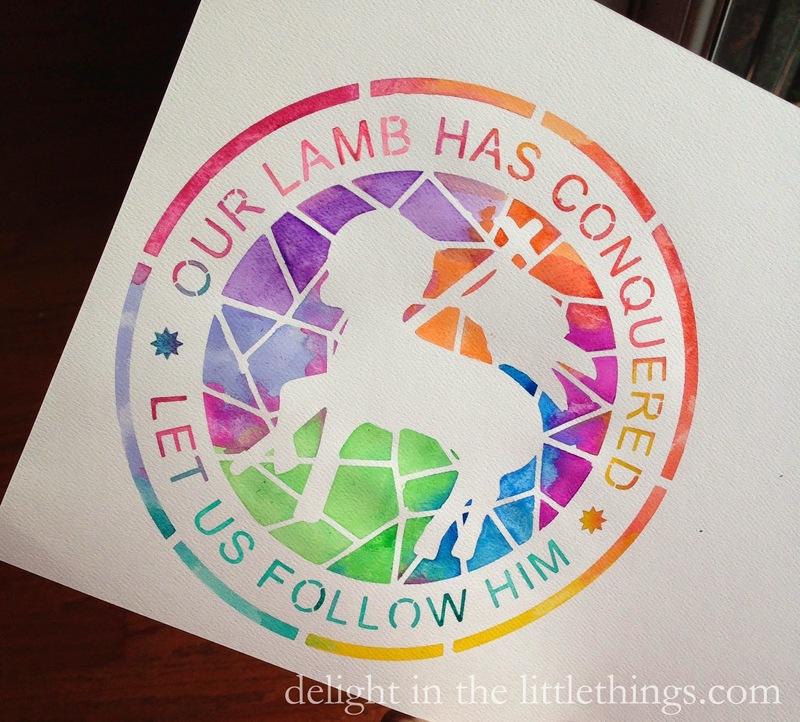 I have got to try the Silhouette stencil material! Thank you for sharing this at my newbie party! Hope to see you again this week! I'm also going to feature this project at this week's party! Thank you, Doreen! Working with the stencil material is fun, but a little tricky. Just be patient and you'll get it. I had a lot of fun with this project.